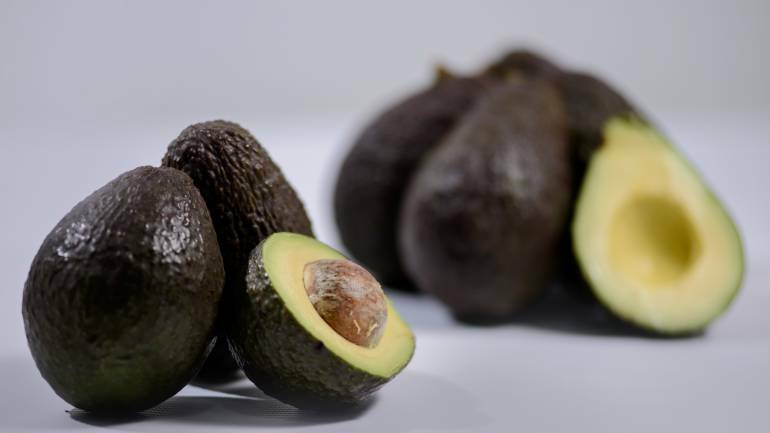 Avocado, considered the most perfect food in the world, is a yellow-green or reddish brown, large, usually pear-shaped, sometimes ovoid or globose, 8-18 cm depending on the variety, soft pulp and consistency of the butter. E, A, B, C, and Folic Acid1 Minerals: It is a source of potassium, contains 60% more of this mineral, it also provides magnesium and in low content it contributes sodium. Minerals: It is a source of potassium, contains 60% more of this mineral, it also provides magnesium and in low content it contributes sodium. Fiber: Avocado is the fruit with the highest content of soluble fiber. This fruit is suitable for people with high cholesterol and diabetes due and it is very important to clarify that 70% of these fats are unsaturated (linolenic acid and linoleic acid). In other words, healthy fats (LDL levels decrease). Its consumption is highly recommended among athletes and stress situations The sodium intake is very low, so people with hypertension can take it It is a powerful natural antioxidant, which reduces the risk of suffering cardiovascular and other degenerative diseases such as cancer. Avocado being the fruit with the highest content of soluble fiber, helps to regulate intestinal transit, and reduces the absorption of cholesterol and sugar in the body, decreasing blood levels.